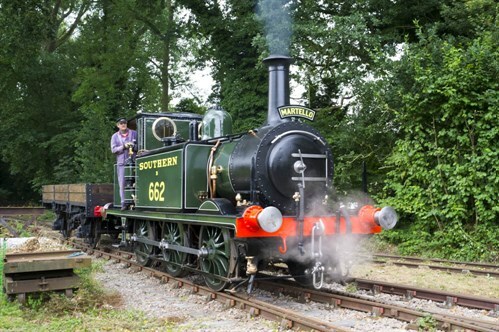 A half day driving experience on Martello 662 our standard gauge terrier tank engine. The Locomotive will then remain in passenger service for the remainder of the day. Partcipants will spend the morning with the Driver and Fireman learning all about the engine. Participants will be involved with the preparation of the engine: oiling up, starting the fire and shoveling coal to build up pressure. Once at running pressure partcipants will spend the morning driving and firing the engine under instruction along Bressingham's 1/4 mile Standard Gauge Line. For the majority of this experience participants will be driving 'light engine'. You will be the only candidate on the footplate accompanied by our experienced Driver and Fireman. The day starts at 8.00am ends at 12:30pm. One Guest ticket is included in the package, further guests are 9.50 each. Guests tickets include entry to all of Bressingham and Narrow Gauge Rides. They are unable to take part in the experience or travel with you. We will endeavour to run the experience on the day you have chosen, please wait for confirmation from us of the date before your incurr others costs such as hotels or book the day off work.